Ariana and Pete Sprint Relationship! Their relationship was so fast that they decided on the wedding but due to the MacMiller death, they need to postpone it. But they called their engagement off! You must be knowing the reason behind their parting away! If you don’t look over the down paragraph! The reason behind their breakup! She came out of the relationship as she could not move on over the MacMiller death. While her rep, “Given the events of the past couple of years, Ariana is going to take some much-needed time to heal and mend,”. But Pete wants to win her heart back! We know that Ariana announced that she will be cutting off the social media as she needs to heal herself. But she doesn’t cut herself from the singing. Along with his comeback on Twitter, she announces her “Sweetener” tour dates. That’s great news for the fans! She slams one of the fans! 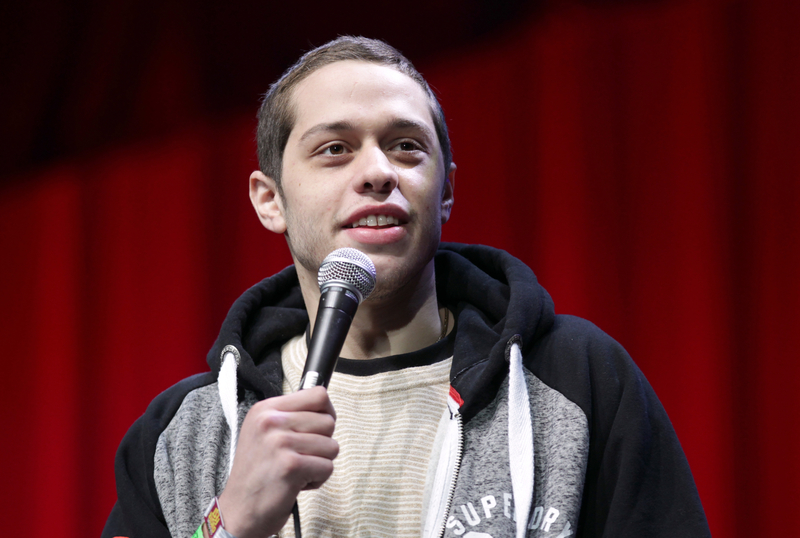 Pete Davidson Jokes About the Breakup! Ariana tells that Pete Used Her! 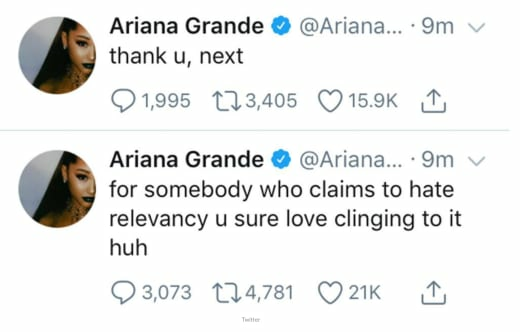 Ariana was clearly not happy that a joke was made on her! She tweeted, “For somebody who claims to hate relevancy [you] sure love clinging to it huh,” Grande wrote. And added, “Thank[you] next”. We can’t stop thinking that she could use fame instead of relevancy.